On Wednesday, Jay Z and his team announced the lineup for the fourth annual Made in America Festival, taking place on Labor Day Weekend in Philadelphia — and trust me when I say you're gonna wanna line up for tickets, like, yesterday when you see this list. Not only did Jay Z enlist his wife, Queen Beyoncé, to headline alongside rapper The Weeknd, but the entire lineup includes a mix of up-and-coming and major stars. 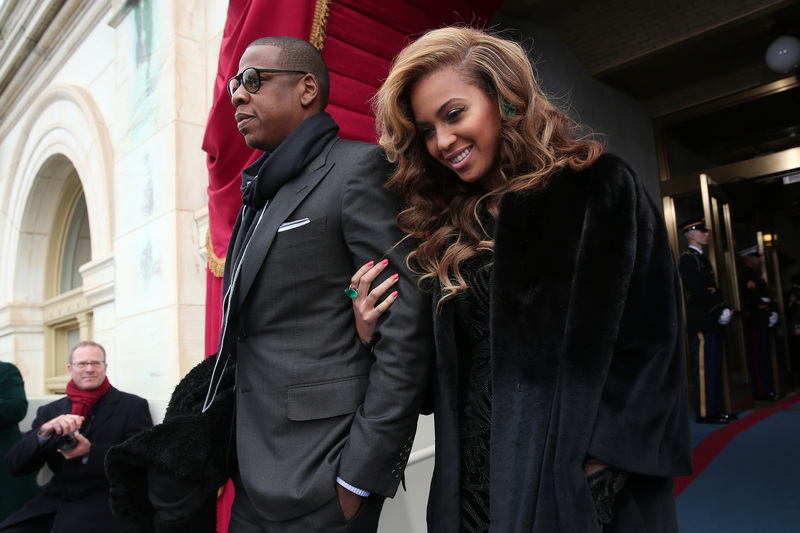 Does this mean attendees will get to see Jay Z and Beyonce perform together at the festival? Because their music is their best collaboration other than Blue Ivy, just sayin'. Axwell & Ingrosso, J. Cole, Bassnectar, Modest Mouse, Death Cab For Cutie, Banks, Meek Mill, Big Sean, A-Trak, Duke Dumont, Santigold, Nick Jonas, Metric, De La Soul, G-Eazy, Future, GTA, Claude VonStroke, Action Bronson, DJ Mustard, Earl Sweatshirt, Fabolous, Vic Mensa, Jacob Plant, Gryffn, Halsey, Saint Motel, Young Rising Sons, Grits & Biscuits, The Struts, Flatbush Zombies, Lola Wolf, Creepoid, Superheaven, Hop Along, Waxahatchee, Strand of Oaks, Remy Banks, Mick Jenkins, Marian Hill, Post Malone, Mayaeni, Bas, Cozz, and Omen. How gorgeous would this collaboration be? As much as I love to see Beyoncé dance and perform in full force on her own, it's fun when she goes acoustic to let her powerful vocals shine — and there's no better way for her to do that than with Death Cab For Cutie. They both have a throwback vibe to their music, so it would be cool to hear J. Cole and Modest Mouse collaborate. Both artists can go heavy on the techno sounds, so I'm fairly positive they could come out with a cool collaboration — not to mention, Axwell & Ingrosso have produced some pretty catchy beats that could be conducive to sampling for a rap song. Honestly, I would see this festival just because Beyoncé is headlining — but the thought of some artist collaborations like these would only sweeten what's clearly already going to be an awesome event.